From April the rate drivers pay for car tax is set to increase. The rise in Vehicle Excise Duty (VED) – to give it its correct name – has been prompted by the Government choosing to link the tax to the retail price index (RPI) inflation measure. In 2017 the Government said tax would track RPI and in his 2018 Budget Chancellor Philip Hammond confirmed that this would apply to all cars, not just newly registered ones. As a result, owners of brand new and older cars can expect to pay more, with the rises ranging from £5 to £15 depending on how polluting a car is. Buyers of some brand new cars will also pay up to an additional £65 for the first-year tax rate. How much will you pay? How much extra you pay will depend on the age of your car and its CO2 emissions (unless it was registered before March 2001). For cars first registered on or after April 1, 2017, the standard annual rate will rise by £5 to £145. Owners of zero-emission vehicles will continue to get free tax and those with hybrid cars will continue to receive a £10 discount. For cars registered between March 1 2001 and March 31 2017, the rises are different. The least polluting cars – up to 120g/km wonât see any increase while the most polluting will be hit with a £15 rise. First-year rates Buyers of brand new cars are also being affected by two additional rises. The first year of a car’s tax is calculated based on its CO2 emissions, currently ranging from £0 for zero-emissions electric cars to £2,070 for the most pollution combustion engines. From April, this first-year rate is also rising. Cars emitting 90g/km or less are unaffected while those up to 150g/km will see an extra £5 added. More polluting cars will see between £10 and £65 added to their first-year rate, meaning a car emitting more than 255g/km will cost £2,135 in its first year. On top of that, any diesel car that does not comply with the RDE2 emissions standard – that is most of them – is automatically moved up one tax band. Cars with a list price of more than £40,000 will also be subject to a “premium tax”, which is paid in years two to six, rise from £310 per year to £320. Older cars If your car was registered before March 2001 its VED is calculated by engine size. Government documents don’t mention these vehicles in the latest tables but an increase in line with RPI would mean a £5 rise for cars under 1,549cc – to £160 – and £8 for those over 1,549cc – to £263. Exemptions Cars more than 40 years old, those with zero emissions and any car registered between March 2001 and 2017 with emissions of less than 100g/km are all exempt from VED. However, you still have to renew your carâs tax or declare it off-road each year otherwise you could be fined. 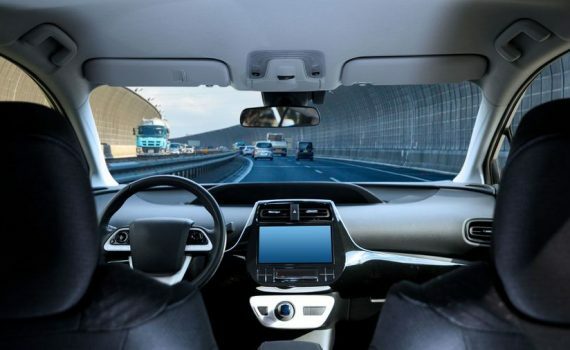 Although consumers are considerably more receptive to having semi-autonomous features on their cars than they were, the thought of a fully-autonomous car still puts the majority of people off, according to Auto Trader research. Car manufacturers and governments might be putting significant amounts of money into developing fully-autonomous cars, but the majority of consumers are still not sold on the idea, and are still confused about the jargon and acronyms manufacturers use when talking about semi-autonomous features on cars. This is according to Auto Trader’s latest Market Report, which shows that eight in ten people would be wary of using a car (84%), taxi (83%) or bus (82%) without the safety net of a human driver. When asked in the research as to whether they’d use a self-driving car they couldn’t take control of, nearly half (48%) said they ‘absolutely wouldn’t use this vehicle’. However, it’s perhaps not surprising: if for many drivers the switch from fossil to electric is a leap of faith, it is at least a leap into widely tried and tested technology. The transition to self-driving cars is a leap into science fiction. Although the appetite for fully autonomous cars might not be there yet, the story is different for semi-autonomous features. In March 2017, 49% of consumers claimed not to be interested in fully autonomous technology and 17% said semi-autonomous wouldn’t be available in their lifetime. However, today, 31% of consumers say they have at least one semi-autonomous feature in their car, and 78% said they used it regularly. More than half (51%) said autonomous features would make them more likely to buy from the same brand again, and 80% are willing to pay extra for them in their next car. It’s not all plain sailing, though. For consumers, the language used when talking about semi-autonomous features on cars is still very confusing. Most manufacturers have their own ways of defining systems, with complicated acronyms or marketing jargon. For example, autonomous emergency braking systems are being seen more frequently on cars. The systems can do anything from warning a driver about an impending bump, to slamming the brakes on automatically to avoid a crash, or helping to prevent further bumps after an initial crash. However, manufacturers call the systems anything from Forward Collision Warning, to Audi Pre-Sense Front, Automatic Collision Preparation, Collision Mitigation Braking, Intelligent Brake Assist, Advanced Pre-Collision System, Smart Brake Support, Eyesight, City Safety, and plenty of other things. Confusing, right? When presented with the various manufacturer brand names for semi-autonomous features, the majority of car buyers in Auto Trader’s research understandably miscategorised its function, or failed to appreciate its capabilities. That shows that manufacturers need to improve the way they talk to consumers about such technology and simplify the language they use when doing so, focusing instead on the tangible benefits: how much safer it will make their car, how easy it is to use, etc. Indeed, just 35% of car buyers whose car has semi-autonomous features said they were clearly explained to them during the sales process, and only a third received a demonstration. Nisa Retail, the national retailer and groceries wholesaler, is looking to significantly reduce costs associated with supply chain challenges, by being the UK’s first company to use a new pallet-tracking technology offered by CHEP, the end to end supply chain specialist in the FMCG and retail marketplace. CHEP’s digital tracking solution has been offered in partnership with BXB Digital, a sister company in the Brambles family. Nisa, which serves around 4,000 independently owned stores across the UK and distributes daily around 220,000 ambient cases and has been a customer of CHEP for over 5 years. The long-standing relationship has allowed CHEP to support Nisa’s longer term digital vision through the implementation of this technology. 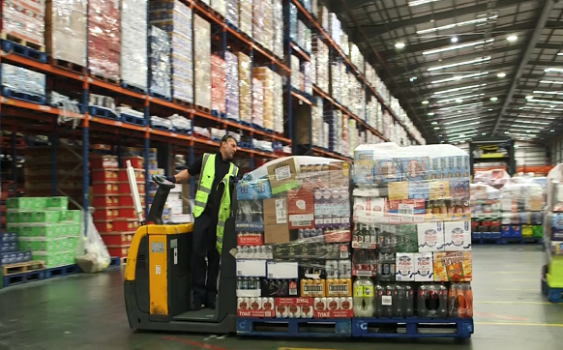 The Flow Illumination digital tracking solution delivered Nisa data and intelligence on the movement of pallets which enabled them to improve processes and reduce costs and inefficiencies. This digital solution development is part of an investment over the last three years by Brambles, which has been focussed on developing and driving efficiencies for its business and its customers. Launched in 2016, BXB Digital is building solutions that illuminate the supply chain and deliver visibility into the movement of goods and assets with seamlessly integrated digital devices and cloud-based software. Nigel Mitcheson, Facilities Manager at Nisa, commented: “The technology is helping us to be more efficient and sustainable when it comes to using pallets for our distribution requirements. It’s also helping us to make significant cost savings, by enabling Nisa to improve delivery accuracy when servicing Nisa Partners. “The technology helps reduce this risk by allowing us to trace pallets from when they leave the depot to when they reach their final destination, so we can prove orders have been delivered. Helen Lane, Vice President for Northern Europe at CHEP, said: “Our new digital tracking technology allows customers to pinpoint inefficiencies, reduce waste and conserve resources when it comes to the use of pallets. This pilot project is the first of its kind for CHEP UK, and using this collaboration with Nisa as a blueprint, we hope to partner with other companies in the future who wish to innovate with us. 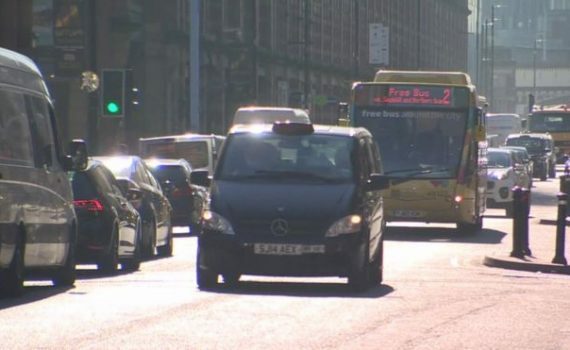 High-polluting buses, lorries and taxis could be fined for driving in Greater Manchester under new proposals. The region’s combined authority will vote on plans for a clean air zone that include fines of £100 per day for lorries from 2021. Privately owned cars would not be affected, Greater Manchester Combined Authority (GMCA) said. Friends of the Earth said “all vehicle types” should be included and it is “dismayed” by the plans. The scheme aims to bring air quality to within legal levels by reducing harmful nitrogen dioxide (NO2) emissions. GMCA said it will ask the government for £116m in loans and incentives to help businesses change to cleaner vehicles. Estimates show polluted air contributes to the equivalent of 1,200 deaths a year in the region, the authority said. The government found that 152 Greater Manchester roads are exceeding legal limits of NO2. Details revealed in a report on Tuesday show the “daily penalty payment” for driving a high-polluting bus or lorry would be £100, and for driving a high-polluting taxi would be £7.50 from 2021. A £7.50 per day charge for vans would be introduced from 2023. Reality Check: Do clean air zones work? The term “high-polluting” is defined as buses and HGVs built before 2013, diesel cars built before 2015, petrol cars built before 2005, and vans and mini buses built before 2016. Currently, 90% of buses and 85% of taxis licensed in Greater Manchester do not comply. Mayor Andy Burnham said including private cars in the scheme “would be a disproportionate thing to do”. “It wouldn’t actually speed up the date of compliance enough to justify imposing a charge, often on some of our poorest residents”, he said. But Green campaign group Friends of the Earth said clean air zones must “come into effect rapidly and must include all vehicle types”. The group said in a statement it was “dismayed that Greater Manchester will not tackle illegal levels of air pollution before 2024”. The proposals come after the government instructed more than 60 areas across the UK to consider introducing a clean air zone. The report will be put to councillors on Friday and if approved, Greater Manchester would have the largest clean air zone outside of London by 2024. There is now one month left to enter the annual FTA everywoman in Transport & Logistics Awards programme – launched to celebrate exceptional women reshaping the industry. Nominations are open here until 12 February 2018. With new categories introduced for 2018, this year’s awards will also recognise the achievements of men advancing the progress of women working in transport & logistics. Past finalists and winners of the awards have remained everywoman ambassadors, reshaping the traditional perception of the transport and logistics industry as one that is male-dominated. The awards will recognise two winners per category; one successful industry “Leader” and one individual at any stage in their career who has truly gone “Above and Beyond” for their organisation. All nominees should demonstrate how they are innovating and excelling in their roles and are welcomed from all sectors, from aviation and shipping to road and rail infrastructure. In addition, the Industry Champion Award will recognise a woman, or man, who is championing the progress of women working in transport and logistics. A brand new category has also been added – Male Agent of Change – recognising a man with an active commitment to advancing the progress of women working in transport and logistics. The Freight Award – Entrants for this Award should demonstrate how they are innovating in the sector. The Passenger Award – Entrants for this Award should demonstrate how they are improving the customer experience. The Infrastructure Award – Entrants for this Award should demonstrate how they are improving road or rail infrastructure. The Supply Chain Award – Entrants for this Award should demonstrate how they are improving processes within supply chain. The Warehousing Award – Entrants for this Award should demonstrate how they are innovating and improving warehouse operations. Industry Champion Award – Entrants for this Award should demonstrate the impact that they have had on attracting and retaining women in the industry. Awarded to one individual only, male or female. The winners will be unveiled at an awards ceremony on Thursday 14 June 2018 at Marriott Grosvenor Square, London. 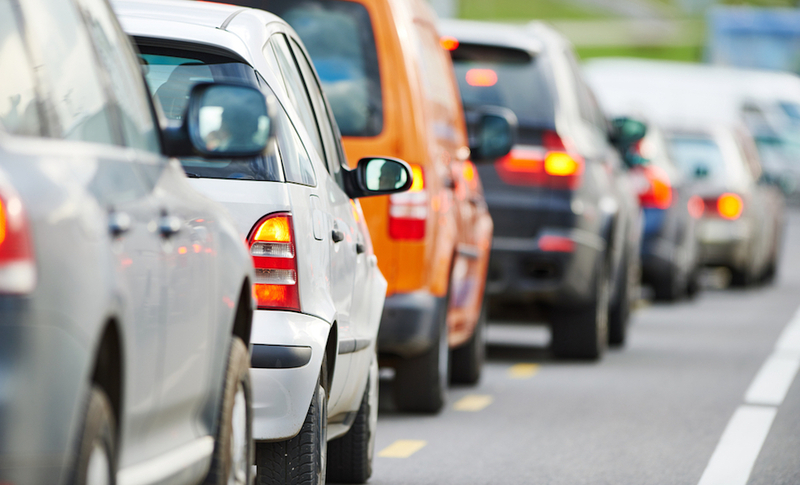 Latest figures revealed as part of the TomTom Traffic Index reveal congestion is costing UK businesses approximately £915 million a year in lost productivity, up from £767 million in last year’s study. To compound the situation, traffic has been getting continuously worse since 2010, with an average journey now taking 30%4 longer than it would in free-flowing conditions, up from 25%. The biggest financial hit was felt in London, where £264 million is lost to traffic each year, followed by Manchester (£169,256,880) and the Birmingham area, including Wolverhampton (£144,184,320). We’d like to take this opportunity to wish all of our clients a prosperous and Happy New Year for 2018. Thank you for your custom in 2017. We looking forward to working with our existing customers and any potential new customers in the new year. Best wishes from Jay and all the team at L12 Couriers. Merseyside Pension Fund is among investors in a real estate fund that will focus predominantly on distribution warehouses in the UK. The UK pension fund has committed capital to Barwood Capital’s UK regional property fund, which raised £42m (€48.1m) in a first close. High-net-worth individuals and family offices also invested in what is Barwood Capital’s fourth fund. The fund will focus on markets outside London and deploy 70% of its capital in distribution warehouses. The balance will be invested in alternative sectors and offices in high growth and undersupplied locations, with a limited allocation to small residential sites where housing demand continues to outstrip supply. Barwood Capital will seek distribution warehouse sites it identifies as having potential to add value through planning, development and asset management. Joanna Greenslade, managing director at Barwood Capital, said industrial and logistics “was the best performing commercial property subsector in 2016 and is widely regarded as having the strongest growth prospects across all sectors over the next five years”. Barwood Capital will aim to deliver a net internal rate (IRR) of return of 15%. It delivered a 12% IRR from its first fund, the Income Fund launched in 2009. The number of drivers fined by private parking companies in the UK has risen by more than a quarter in the past year, research by the RAC Foundation suggests. Private parking companies requested more than 4.7m vehicle-keeper records from the DVLA in 2016-17, a rise of 28% from the previous year. 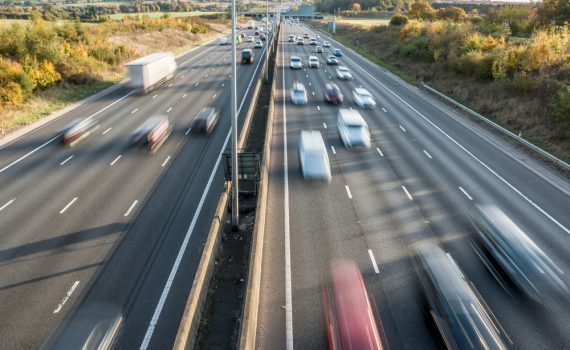 The vast majority of these requests are likely to have been for the purpose of issuing fines to drivers of up to £100, the motoring research organisation says. The data suggests private parking providers are issuing a ticket every seven seconds on average. The RAC Foundation director, Steve Gooding, called the figures “eye-watering”. The government banned private car park operators from clamping vehicles in all but the most extreme circumstances in the 2012 Protection of Freedoms Act, but this also introduced the power for operators to fine owners of vehicles rather than having to prove who was driving. Requests from private parking companies to the DVLA have trebled since then, the data shows. Gooding said: “We all hoped the problems associated with parking on private land would go away when clamping was outlawed. It turns out we hoped in vain. Since the ban there has been a surge in ticketing. Something is clearly going awry. He called on the government to respond to the results of a 2015 public consultation on tackling unfair practices in parking. “The number of vehicle-keeper requests that private parking companies make on behalf of their landowner clients is a barometer for how well the private parking system is working, and we believe that the barometer is reading ‘stormy weather’ for ministers who have had the responses to the 2015 public consultation on their desks for two years now,” he said. Mayor of London Sadiq Khan has proposed that a daily charge for the “most polluting” vehicles in London should begin on 8 April 2019. According to the new proposal, diesel vehicles that don’t meet Euro 6 standards will be charged £100 a day if they are a HGV, bus or coach. Khan has also proposed an expansion of this charge across Greater London for HGVs in 2020. The ultra low emission zone (ULEZ) will be located in the same area currently covered by the congestion charge. “The air in London is lethal and I will not stand by and do nothing,” said Sadiq Khan. “Today I’m announcing bold proposals which are critically needed to safeguard Londoners from our air quality health crisis. “I am introducing a new T-Charge this October and subject to consultation, I want to introduce the Ultra Low Emission Zone in central London in April 2019. 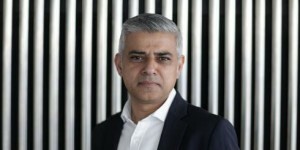 This alone will mean the capital has the toughest emission standard of any world city,” said Khan. “But the scale of our air quality challenge is so big that I need to go further. I want to expand the ULEZ from 2020 for heavy vehicles such as buses, coaches and lorries so that all of London will benefit from cleaner air. “Then from 2021, I want to expand it up to the North and South Circular roads for light vehicles, including cars and vans. These measures will help improve the air that millions of Londoners breathe. The RHA has said that hauliers will be hit hardest by the new scheme. The FTA said that the confirmation the ultra low emission zone will start in 2019 is “troubling” for small business and specialist hauliers. A consultation on the new proposal on bringing forward the start date of the central London ULEZ launched on 4th April and runs until 25th June 2017.